Amit Gupta of ICICIdirect said FII stance may remain muted in a trade war while dollar strength intensifies in the coming week. The Nifty50 continued its upward bias and ended positively for the sixth consecutive week. During the week, it had almost tested its highest Call base of 11500, driven primarily by financial and energy heavyweights. The Call base of 11,500 remained almost unchanged despite the Nifty testing these levels. At the same time, significant additions were seen at Put strikes of 11,200 and 11,300 during the week. We believe 11,300 is likely to act as immediate support for the Nifty in the ongoing momentum. The PCR open interest (OI) for the Nifty continues to rise in the current uptrend where no major profit booking took place as traders are getting more comfortable in writing Put options. At the same time, current Nifty futures open interest is highest since January 2018. With high PCR OI and high Nifty open interest, we believe consolidation is more likely than continued momentum. However, positive bias should be maintained till we see some sharp closure of positions. On the currency front also, further depreciation in the rupee may also act as a dampener in the near term for equities. Any extended profit booking should be seen only if the Nifty moves below 11300. In such a scenario, technology heavyweights may rescue the index. 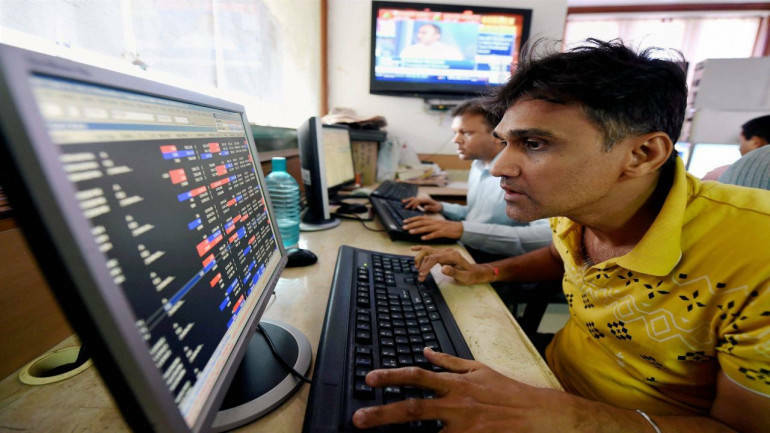 As the index remained firm above 27500, the up move in the Bank Nifty continued for a third week in a row. The index finally managed to end the week above the sizeable Call base of 28000. For the past few weeks, we saw a declining trend in OI. The rally was on the back of short covering. As the index moved above 28000, fresh buying interest was seen where there was a rise in OI by 30 percent during the series. After the quarterly numbers of SBI, Call blocks were seen in 28500 strikes, which may attract consolidation around these levels. However, for the week, additions were seen in 28000 Put as well. This is likely to be the key support area. Until the index remains above these levels, the overall uptrend is likely to continue. Globally, risk sentiments continued to remain volatile. On the negative side, escalating US trade war with China, Russia & Turkey, and a stronger dollar continues to keep China and other EM markets weak. On the positive side, a strong recovery in key US equity indices and sub 3 handle on yield kept the DM complex in a risk-on mode. Going ahead, trade wars will remain at the centre stage. Also, a key variable to watch will be the resurgence in dollar strength. If the Dollar Index closes above 95.6 for the week, the up move in Dollar Index is likely to pick up. The index could hit 97.5 level. Such a move will be detrimental for EMs, which are in the middle of already brewing trade war and a narrowing rate differential worries that have pushed its EM Equity and FX almost double-digit lower in 2018. Hence, FII stance may remain muted in a trade war while dollar strength intensifies in the coming week. Disclaimer: The author is Head of Derivative from ICICIdirect. The views and investment tips expressed by investment expert on moneycontrol.com are his own and not that of the website or its management. Moneycontrol.com advises users to check with certified experts before taking any investment decisions.